Keep your appointments in sync between Bookly Calendar and Outlook Calendar! 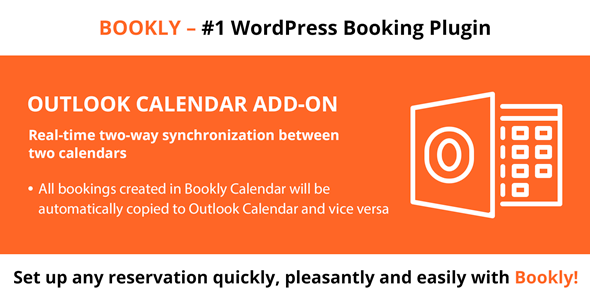 Bookly Outlook Calendar add-on enables a full bidirectional synchronization which makes it easy to schedule, view and manage appointments in both calendars. Bookings made via Bookly will be instantly copied to your Outlook Calendar and new events, updates and cancellations from Outlook Calendar will be immediately reflected in Bookly.